Our Michelin-awarded Restaurant Marchal reflects the culinary love that has quite literally been at the heart and soul of the d’Angleterre since 1755. The tradition of fusing passion and culinary art continues at Marchal. Marchal reflects the culinary love that quite literally has been the heart and soul of the d’Angleterre since 1755, where Jean Marchal and Maria Coppy joined forces romantically and professionally to establish a restaurant, which later grew into the Hotel d’Angleterre. The tradition of fusing passion and culinary art continues at Marchal, which pays homage to the couple behind Hotel d’Angleterre. 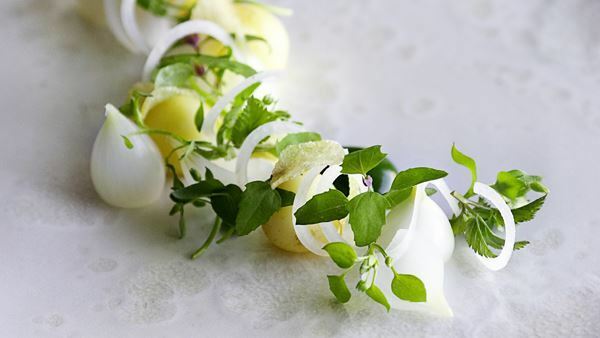 Marchal strives to make the d’Angleterre dining experience appealing to all of the senses, fusing a modern urban touch with culinary passion Marchal’s Michelin-awarded cuisine brings a classic French twist to revolutionary Nordic cuisine. In the spring, summer and fall, Marchal spreads out onto the terrace and sidewalk of Kongens Nytorv offering guests a lively alfresco option, ideal to experience more of Copenhagen’s lifestyle. 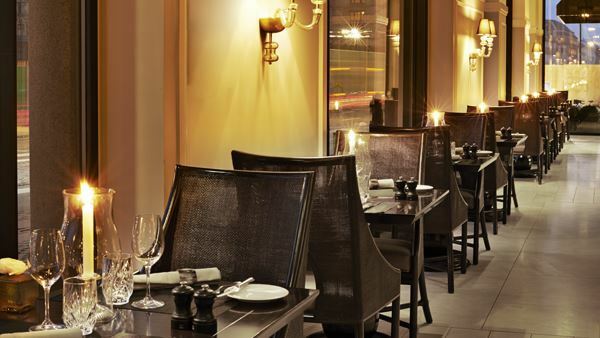 With a warm and inviting atmosphere, Marchal’s Wine Room is the perfect private dining venue. Enjoy a lovely lunch at Marchal where we offer 2-course chef's choice lunch menu for 50€ or 3 course chef's choice lunch menu for 63€. Here you can read the lunch menu. Saturday & Sunday 07.00-11.00 Lunch 12.00 - 16.30 Evening 18.00 - 22.00* *Friday and saturday, the kitchen closes at 23.00.